Apart from Javelin anti-tank weapons, Ukraine's Armed Forces will get the sniper weapon systems from the United States. Robert Portman, the senator from the Republican Party said that at a press conference in Kyiv on April 5. According to Voice of America, the official found that the Ukrainian government troops suffer serious casualties from sniper fire. 'Last month, most of the casualties were, most likely, caused by the enemy sniper fire. 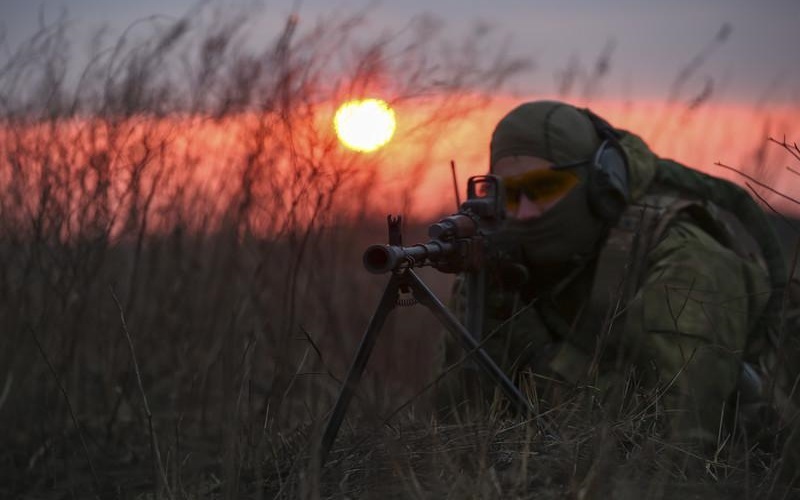 One of the recent decisions by the U.S. lawmakers is to provide the Ukrainian Army with sniper systems - so that there's an opportunity to respond to the sniper attacks that kill Ukrainian troops,' he said. Portman called the decision one of the particular examples proving that the U.S. stands with Ukraine. The U.S. senator arrived in Kyiv on April 4 and met with President Petro Poroshenko and Defence Minister Stepan Poltorak. Since the beginning of the armed conflict in Donbas in spring 2014, Ukraine has been negotiating with the U.S. on lethal weapon supplies. Currently, that assistance includes Humvee armored cars, RQ-11B Raven drones, and counter-artillery radars, all of which are non-lethal defensive weaponry. Besides, U.S. instructors train Ukrainian servicemen and hold joint international drills with them. On March 1, the U.S. Department of the State decided to sell Ukraine Javelin anti-tank weapons.